Seen one konbini, you've seen a mall. ¥100 shops sell a vast selection of goods (household items, groceries and beauty products included) for ¥100 plus tax. Many new residents to Japan end up stocking their first apartments solely with stuff from the hyaku-en since it’s cheap but decent enough quality, and they basically have everything. ¥100 stores are also awesome places to buy souvenirs for friends and family back home. One secret of Japanese Department Stores is the depachika, a giant food market that takes up the entire basement. Head to the B1 or B2 floor for more food on display than you’ve seen in your lifetime. Buy over the counter medications, first aid supplies, cosmetics and other personal care products. For information on buying medicines, please check the Staying Healthy section. Stores selling DIY goods, tools, and some furniture. See here for international-style household goods, specialty bath products or the like. These places are also great for birthday or other special occasion gifts. Beware that Don Quijote is a store based around brightly-colored organized chaos to an annoyingly catchy theme tune so if you’re in a rush and need something specific, don’t go here. Electronics stores in Japan typically take up entire buildings and are often located near to each other, creating shopping battlegrounds where price wars mean bargains for us shoppers. In Tokyo, Shinjuku and Ikebukuro are the places to find the best bang for your buck with electronics. Department stores like Seiyu, Ito Yokado and Aeon all have small furniture departments too. 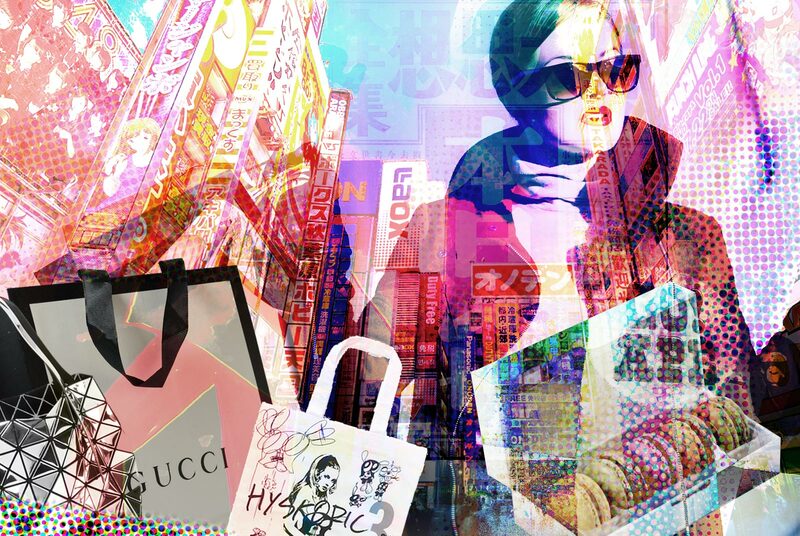 The biggest challenge for non-Japanese shoppers is usually sizing. You can read more on that below. If you are looking for shoes and want an international brand, then ABCMart is the most popular and easiest to find shoe store, with locations at every major train station, and carrying a wide range of sizes for men and women (though sizes may not always be immediately available). The first three are the most widespread and easiest to find anywhere, while the last three are less common. All six sell a wide range of ready-to-eat meals, basic groceries, alcohol, cigarettes, snacks, stationery, phone chargers, household cleaning products, personal products, and magazines. However, the jury is still out on which konbini is the best. 7-Eleven has its own line of high quality beauty products made in conjunction with Fancl, a major Japanese cosmetics company. 7-Eleven also has ATMs that accept international cards, and a useful banking service for foreigners. FamilyMart is renowned for its “famichiken” fried chicken and for selling Muji brand snacks, cosmetics, stationery and emergency socks/stockings/underwear. Lawson has the best selection of instant noodles and drinks, plus its own ¥100 store (Lawson ¥100) and a higher grade store selling organic and healthy, international foods and goods (Natural Lawson). Mini Stop and NewDays are mainly found within train stations or on the platforms, and have a good selection of immediately useful items (drinks and buns, sandwiches, etc), while Daily Yamazaki is slightly less common, but the only place you can find Baskin Robbins (31) ice cream any time of day, and a great range of freshly made breads and rolls as well. Seiyu supermarkets tend to be located on Seibu train lines, and have a vast selection of frozen and international brands. Tokyu supermarkets are very common in the Tokyo area, and are known for their readymade meals and wide selection of fruit and vegetables. Ito Yokado are related to 7-Eleven, and carry many of the same goods. They also have frequent regional food fairs, where you can find snacks and specialty dishes from across Japan. Aeon is very similar to Ito Yokado, but has a wider selection of items for children/infants overall. 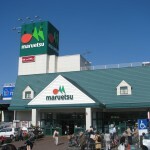 Maruetsu, Inageya, Summit, and Daiei are all relatively similar; they are standard supermarkets with good selections of core Japanese fruits and vegetables, meats, and ingredients to make standard Japanese dishes. My Basket is a small, “single person’s” supermarket, selling mainly individual portions of readymade meals or ingredients, and snacks. Seijo Ishii is one of the more high end supermarkets, often found in the basement floor of department stores, but it also carries a good range of international foods, especially snacks. Kaldi Coffee is another popular import store. They don’t stock fresh produce or readymade meals but they do hand out free coffee while you browse the store. For a guide to shopping at a Japanese supermarket, check this out. A good tip if you’re on a budget is to go to the supermarket just before closing time when the food is discounted. Online shopping is one of the most convenient ways to shop in Japan, so the majority of stores already mentioned in this guide have their own online versions, however there are some highly recommended shopping services that you shouldn’t miss out on. Amazon Japan is identical to its international counterparts, and is available in English, although some content is auto-translated and may not be exact. Rakuten is an online market similar to Amazon Japan where you can purchase both Japanese and international items, and is available in English. Yahoo Shopping Japan is only available in Japanese, but has a great number of sales and special deals each week, so if you are looking for something in particular, it may be worth checking out with a Japanese-speaking friend. If you are looking for a specific product and want to know more about it before you buy, then the online ranking and shopping site Kakaku.com is the best place to check. There you can choose from a list of categories to search from, or search for a product by brand or name, and see customer reviews, price comparisons and other details. 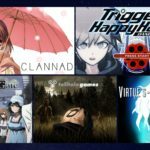 Kakaku.com is only available in Japanese, but if you use Google Translate, you can get a pretty good idea of what the general consensus on a given product is. Plus size, petite and tall clothing are somewhat harder to come by in Japan. In recent years this has slowly been changing, but some digging needs to be done if you are looking for any clothing items in particular. Western petite size wearers will find that most Japanese standard clothing are perfect fits, while tall shoppers should stick to international stores like Zara or H&M. Generally speaking, if you are looking for tall or plus size clothing, you will find your best selection online. For plus size bras and foundation garments, H&M and some Triumph lingerie shops in departments stores may carry up to a Japanese F cup, but for sizes over an F85, you will need to check out overseas stores with international shipping or Rui Glamorous, an online store with sizes up to a K90. See here for more about bra shopping in Japan. Standard Japanese shoe sizes are 22-24.5 cm for women (US 5.5-7, Europe 36-39), and about 24.5-28 cm for men (US 6-9.5, Europe 38.5-44). If you have wide feet, it might be best to talk to the staff first, so they can let you know what your options are in advance. Other good shoe stores for women include Tulsa Time (which specializes in feminine styles), Shoes Ten in Shinjuku, Tokyo (wide range of styles for young adults to older women), and Oriental Traffic (available in Marui department stores and online). 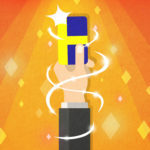 Most stores in Japan have their own point card —a card where you can collect points that accumulate and can be used to discount purchases, get free items, or enter you into draws for prizes. These cards look similar to credit cards, and do not expire (in most cases), and have online support (mainly in Japanese). The most common types are T-Point, Ponta, and Nanaco. Most department and convenience stores, as well as supermarkets issue these kinds of cards, and are a very good idea to have around. Just be sure to choose wisely or you’ll end up with a million of them in your wallet. Gift giving is a large of Japanese culture – if you work in an office, when a coworker goes on a business trip or vacation, you can guarantee that when they come back, they will have a box of some local delicacy to share with everyone. “Omiyage” (お土産) are typically beautifully wrapped foods that represent whatever region they were purchased in. 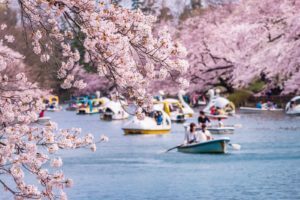 You’ll find souvenir shops near almost every major and some minor tourist attractions across Japan, in parking areas along highways, in train or bus stations, and sometimes on train platforms as well. Edible omiyage come in a wide variety of sizes, from individual servings to large boxes of twenty or more pieces – plus plenty of fresh, frozen and dry goods style items are available too. Non-edible omiyage may include chopsticks made from regional wood, character straps showing off a famous landmark of the area and photobooks, although these tend to be more popular as personal souvenirs rather than as gifts for coworkers or friends. Ideally, omiyage for your coworkers should be individually packaged servings that you can hand out easily to everyone, while if you are giving more personal souvenirs, they should be individually wrapped and handed out in private. Most souvenir shops will give you extra bags that you can use to give you omiyage to others in, in case the original shopping bag gets damaged. If you are looking for gifts to give for birthdays, holidays or just because, you should take advantage of Japan’s year round gift wrapping services. While out shopping, you may be asked “go-jitaku you desu ka?” (ご自宅用ですか？) by shop staff while paying. It means “Is this for you?” If it is, then they’ll just put it in a regular bag for you and off you go. But if it’s a gift, you can say “Purezento desu” or “Gifuto desu” (present or gift), and they will show you a small sample of how it can be wrapped. Most shops have free gift wrapping services, but some may charge ¥100 yen or so for this.